Eminem’s new album, Marshal Matters LP 2, is absolutely phenomenal. From Berzerk to The Monster, Eminem produces music that not only captures the audience, it makes the audience rise to their feet. The audience isn’t the only thing that is rising, Eminem’s album reached No. 1 on the Billboard chart within a matter of days. 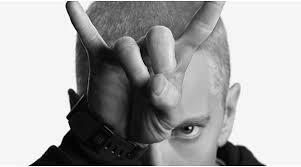 Eminem has sold over 800,000 copies of Marshall Matters LP 2, and was the second best selling album of the year. Be sure to get your own copy of Marshall Matters LP 2 to know what the craze is about and tune in to WARG 88.9FM to hear some songs from the new release. This entry was tagged Andrew Garcia, Berzerk, Eminem, Marshall Matters LP 2, The Monster, WARG 88.9fm. Bookmark the permalink.